We obtain Californian poppy from farmers in the United States. Californian poppy, or Eschscholzia californica, is an ornage flowering plant from the United States and Mexico. It is the official state flower of California. Its native habitat includes California, extending to Oregon, Washington, Nevada, Arizona, New Mexico, Sonora and northwest Baja California. Californian poppy flower color ranges from yellow to orange, with flowering from February to September. The petals close at night or in cold, windy weather and open again the following morning. California poppy leaves were used medicinally by Native Americans, and the pollen was used cosmetically. An aqueous alcohol extract of Eschscholzia californica has been evaluated for benzodiazepine, neuroleptic, antidepressant, antihistaminic and analgesic properties. The plant extract has an affinity for the benzodiazepine receptor, like sleeping medication. 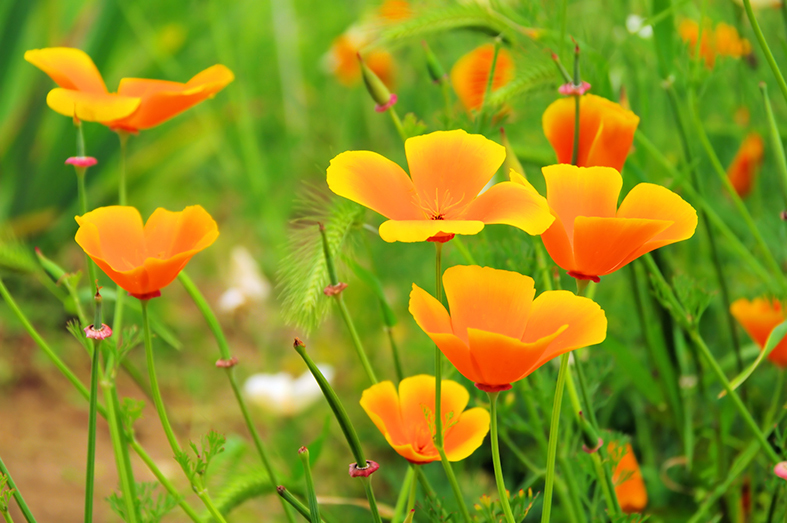 Our product Sleep On contains Californian poppy.